This impressive and highly frequented property is located in the center of Orlando, Downtown Disney. 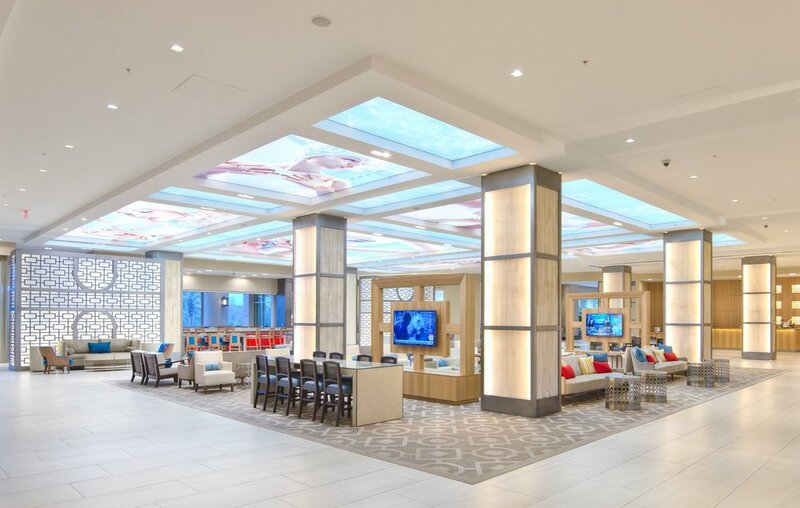 Lang & Schwander was contracted to manufacture all lobby millwork as part of a common area renovation that was executed while the hotel was open and functioning. Wall paneling, reception, concierge, rental car stations, along with a substantial bar and a grab & go station were part of the scope during this challenging renovation.